Yet another Chinese manufacturer comes into frame now, named iMan, that is known to produce a wide range of rugged smartphones from entry level to luxury category. 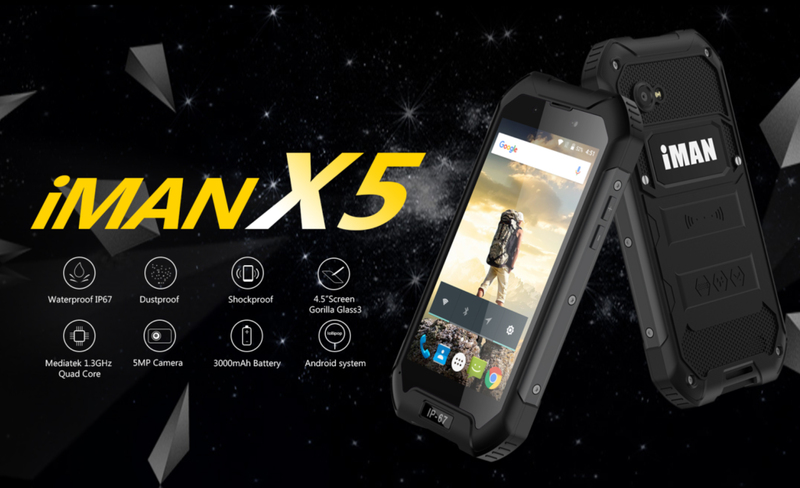 iMan is soon set to launch the affordable rugged smartphone (iMan X5) with IP 67 certification that would be priced around $80. Although smartphones nowadays cater all the needs we expect from them they are fragile to handle. For people who wish to have a strong build phone with basic features, rugged phones are a god alternative. They cannot be compared with the smartphones on the hardware features or design but they do promise long life than the normal smartphones. Rugged phones come with waterproof, dustproof and can withstand drops from certain heights and can handle almost any challenges a normal smartphone is expected to experience. The release date is not yet known but it is speculated to be released in short time.